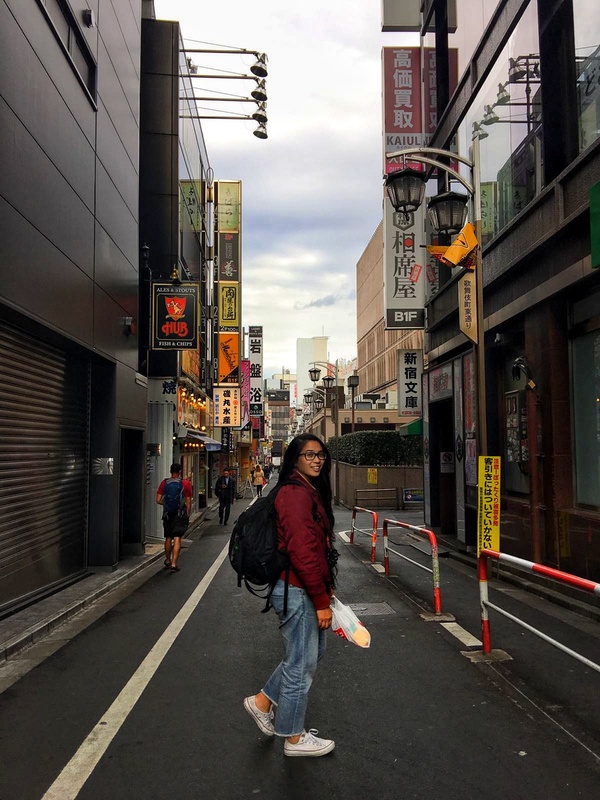 Today's post is all about travelling and I wanted to share a few tips with you all while my recent trip to Japan is still fresh in my head. If any of you looking to travel to Japan for the first time, specifically in Tokyo, then give this a read! I'll also be sharing some budget friendly tips as well! 1) Find hotels/Air BnB close to a station. It's more convenient and will make travelling a whole lot easier. *Extra tip. Want to save extra money? 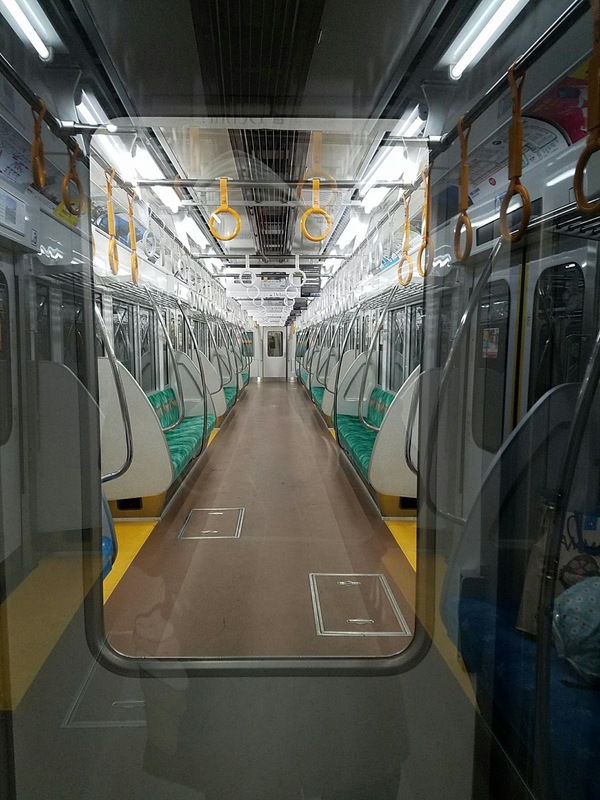 Japan has these awesome room 'capsules' that are almost like a hostel but way nicer. The bathroom is communal and you have to pay for showers (but the room usually has a door and lock and you get it to yourself for about 300 yen per 30 minutes) but if you're just looking for a place to sleep then this is your best option, Plus they usually have a recreation room with free drinks and wifi. There's not a lot of room to store your belongings hence packing light will be your friend (as you'll read more about in tip #2). Also, they have Women only floors if you feel more comfortable in that setting! 2) Pack light! I can not emphasize this enough - the most efficient way to travel from the airport to your hotel is either by train or Airport Limousine and when you're trying to move your luggage around in a city filled with millions of people, especially on the train, you're going to struggle. You can opt for a taxi, but prices are a bit high, especially during peak/holiday season. I'd recommend bringing almost an empty suitcase, especially if you plan to buy lots of omiyage (gifts) for yourself or others. 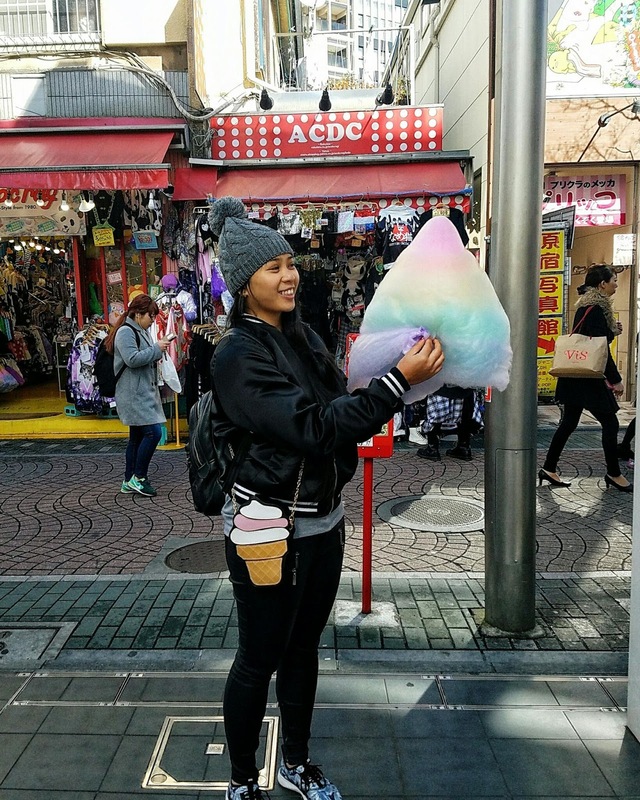 There's so much you'll want to buy like all the candies and snacks! *Bonus - bring a good pair of walking shoes; you will walk a lot! 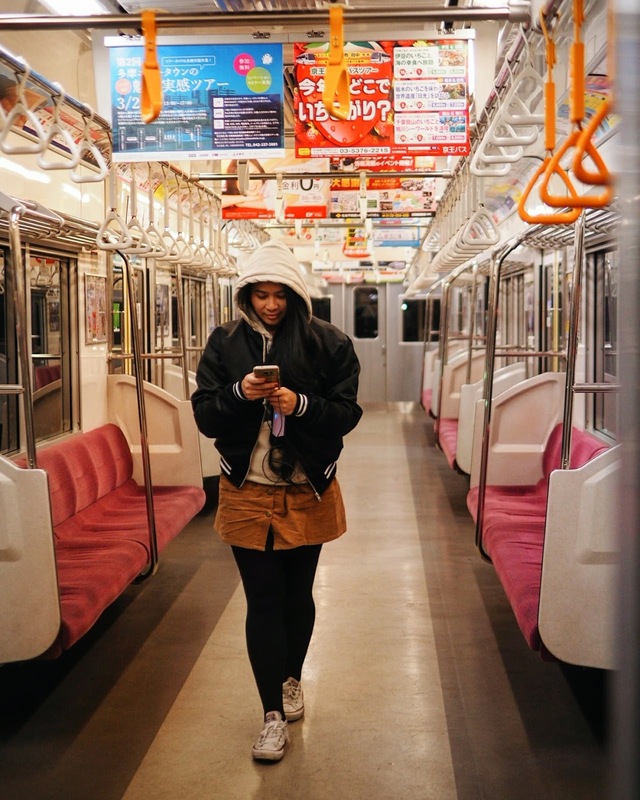 3) Study the subway lines ahead of time - out of all the public transportation systems I have been on, Japan has one of the most complicated (yet organized) systems with a whole slew of lines to take you all around the city and outside. Get familiar with it ahead of time so you don't spend too much time wandering around the station trying to figure out where you need to go or what platform you need to be on! *Extra tip - take the Airport Limousine from the Airport to the station closest to your living arrangements as opposed to the train. It's only a couple dollars more and is more convenient and less hectic. 4) Make sure you have a credit card that does not charge a foreign transaction fee (like Capitol One) and save yourself that extra 2-4% per charge! 5) Learn a few Japanese phrases: From my own personal experience, Japan is manageable without knowing and Japanese but of course having someone with you (thanks Lay Yi!) that can speak the language is much easier. 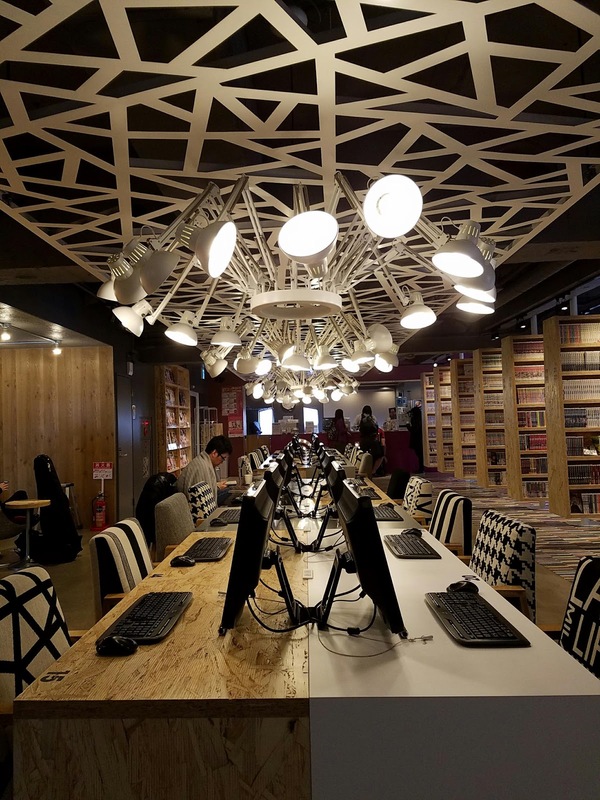 However, if you're not going with anyone that knows Japanese or you yourself doesn't know, then learning a few key phrases will make it a little easier. If you like watching anime or J-Dramas, I recommend watching a few shows before you leave - it really does help! Key phrases like "konnichiwa" (hello (during the day or in general), "sumimasen" (excuse me), "arigato" (thank you), "wakarimasen" (I don't understand) are all good to know as well as "Eigo wa dekimasu ka?" (do you speak English?). For more phrases check out this link HERE. 6) While at the airport: Purchase a portable Wi-Fi or sim card available at both kiosks and vending machines. Download What's App ahead of time and you'll be good to go. You honestly don't need a sim card that has calling or SMS ability since you just really need What's App. 7) Skip the Currency Exchange kiosks and get cash directly from an ATM. You'll get the best exchange rate for your money and if you use a card that doesn't have a foreign transaction fee, you'll only be charged an ATM fee of usually $2. 8) Load up on a Pasmo/Suica/ICOCA card. You'll use this daily for transportation on the train so have it in hand. Japan moves at a fast pace and you don't want to be the one that slows everyone down since you don't have your card ready. Plus, it's okay to load up on more it; you can use it at a variety of vending machines, stores, and even at the airport if you don't use it all up! 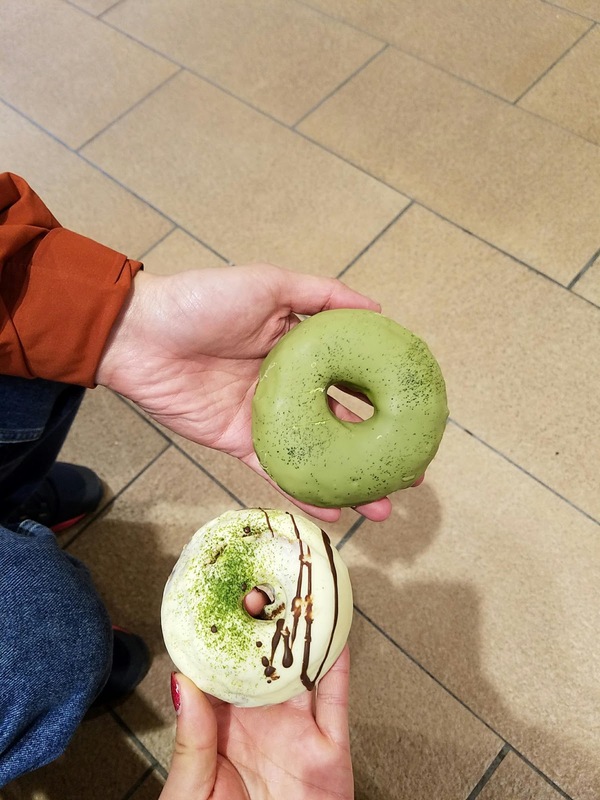 9) Eat around the train stations - there are TONS of good food at each location with some with more options than others but you're bound to find something you like at one of them. If you need something quick that's around, check out the local Lawson's (though their onigiri option is on Point!) 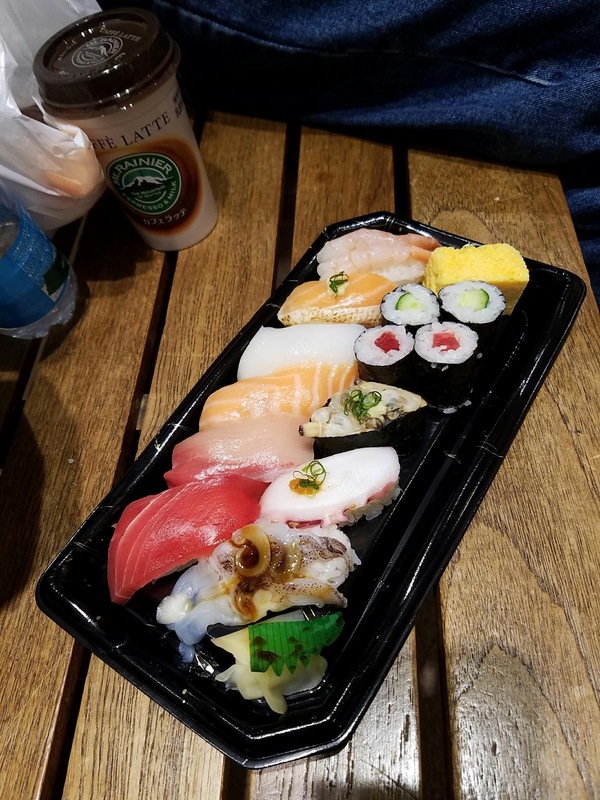 and wait till you get to the train station either at your departure center or wait till your new location, Food at the station is very reasonably priced and come in a ton of varieties. *Keep a plastic bag around with you since it is a bit hard to throw away garbage. You can also ask the stall you bought from to throw your garbage away since they rather have you give it to them than have the garbage end up on the streets! 10) Know where you want to go and plan your day around that area. 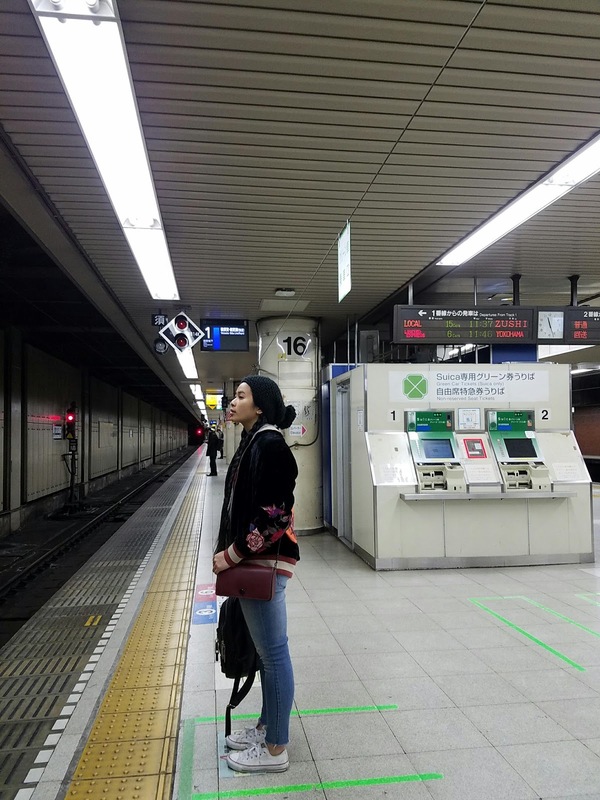 Whether you want to hit up the main prefectures (Shinjuku, Shibuya, Ikebukero, etc) or want to venture to more quite destinations (Mitaka for Studio Ghibli, Takao, Kamakura, etc. ), planning your activities ahead of time will get the most use out of your day so you don't have to keep going back and forth. Also include any tours you may want to include (seeing Mount Fuji would have been fun!). There's honestly a lot to do and depending how much time you really have, you will likely not see everything you want to so make the most out of it! Also, if you can avoid it, try to go off-peak hours to not hit the work crowd. There are millions of people in Tokyo and don't want to get stuck on the train like a can of sardines! Go to mini purse from BagMeBaby. 12) Bring extra batteries for your camera and a power pack for your cell phone. There's lots to see and to take photos/videos of and now that Social Media is at a rise with Snapchat and Instagram Stories, keep a spare power pack with you so you can stay in sync with the world! 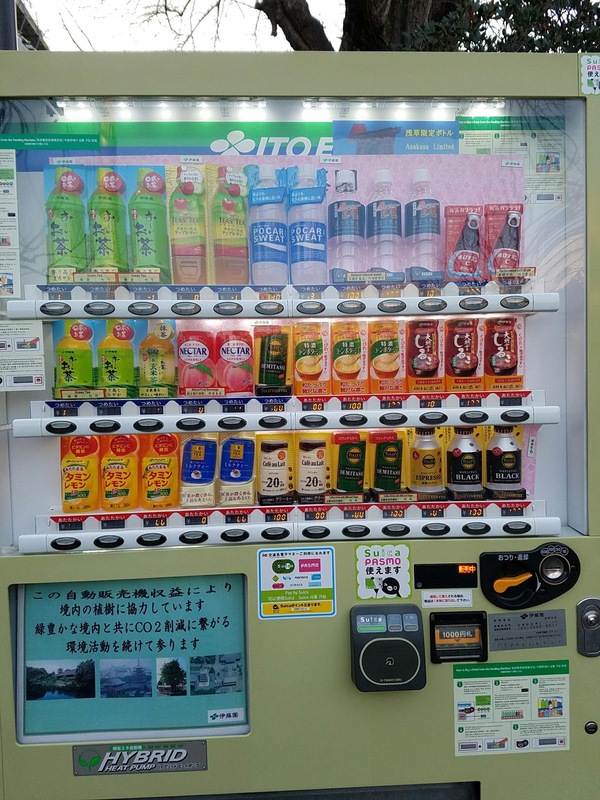 13) Try all the vending machines! Seriously, especially for the hot drink items (marked with a red button as opposed to blue for cold drinks). I never had the teas or Royal Milk tea hot (they're usually on the shelf or in the fridge section in the states) and they're so much nicer when it's hot! Another favorite are the hot soups like the corn potage and onion demi glace. 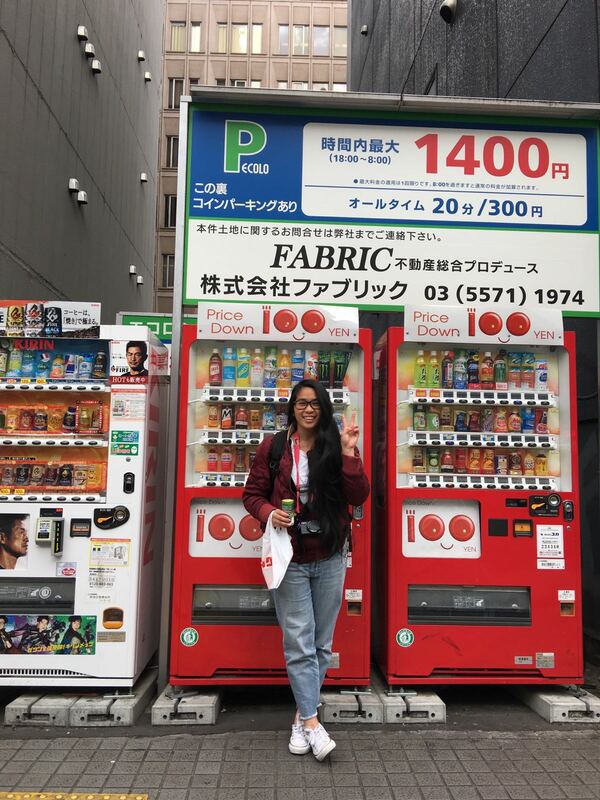 14) Bring your passport with you (instead of keeping at a safe at your hotel or something) when you shop to save sales tax of about 8% on purchases over 5,000 yen (bout $45 USD)! Most shops will have signs that point to it or they will ask you for it if your purchase is greater than 5,000 yen. 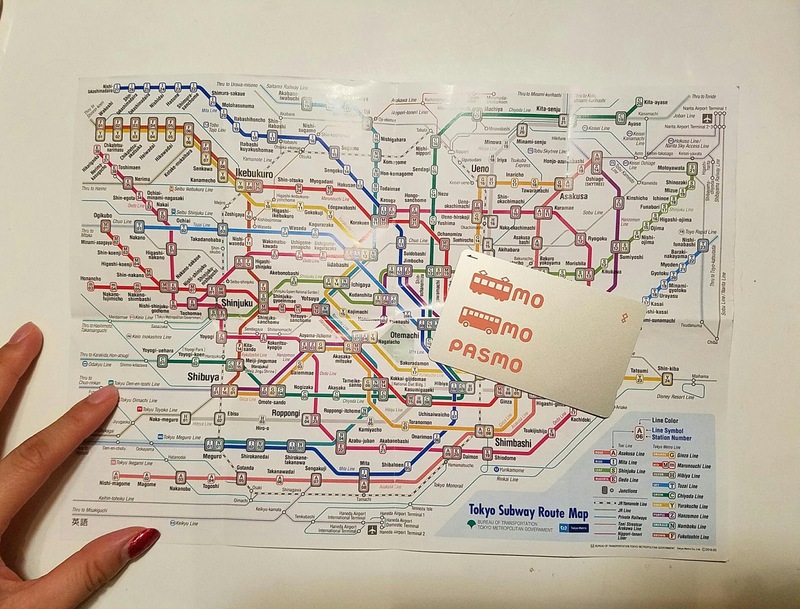 I hope this post helps some of you out there looking to go to Tokyo for the first time (or even if it isn't your first time!). Do you have any other travel advice you'd like to share?